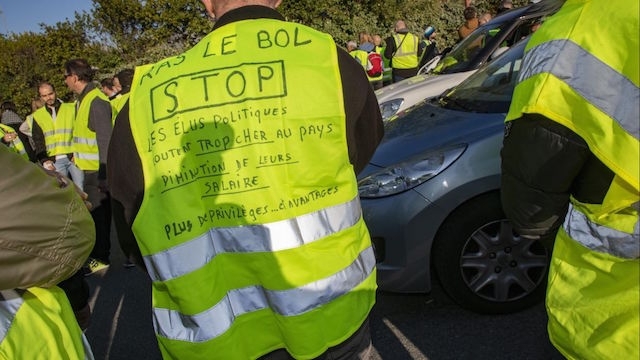 USPA NEWS - The tension is growing throughout France since the recent birth of the movement of Yellow Vests, since two weeks. this movement intensifies and gains ground by the sympathy of the French who has more than 71% approve the movement. and some French clairettes. The spontaneity of the m-words, which are officially diligent by votes or other appointments, complicate the dialogue between the Prime Minister and the Yellow Vests movement. Some Yellow Vests request the dissection of President Macron, others claim the high of the minimum wage, and / or removal of several taxes, as well as the constitution of a new citizen participatory assembly, ie the abolition of the current mode of government. 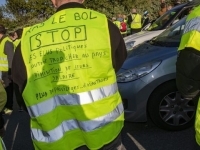 The Yellow Vest movement, which began with a petition launched on Facebook by Priscilla Ludoski, a cosmetics saleswoman launched in May 2018, is gaining momentum and she believes with the anger of the protesters that "they are not being listened to And that the government especially President Macron "did not understand them" Some speaking on chains of TV loops in France speak to spend the Christmas holidays in blocks and say they are very "determined" in front of " the blindness of the government "
The tension is growing throughout France since the recent birth of the movement of Yellow Vests, since two weeks. this movement intensifies and gains ground by the sympathy of the French who has more than 71% approve the movement. and some French clairettes. 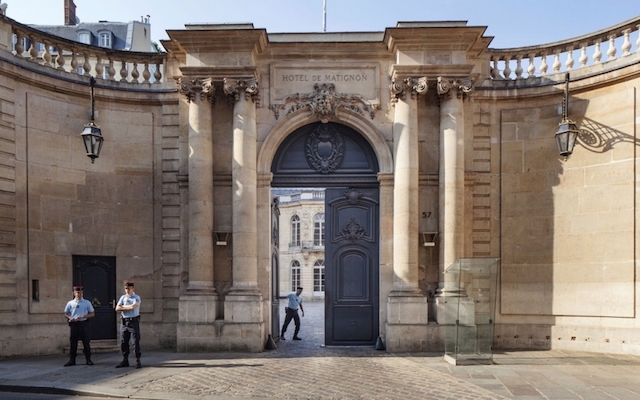 The spontaneity of the m-words, which are officially diligent by votes or other appointments, complicate the dialogue between the Prime Minister and the Yellow Vests movement. Some Yellow Vests request the dissection of President Macron, others claim the high of the minimum wage, and / or removal of several taxes, as well as the constitution of a new citizen participatory assembly, ie the abolition of the current mode of government.The Yellow Vest movement, which began with a petition launched on Facebook by Priscilla Ludoski, a cosmetics saleswoman launched in May 2018, is gaining momentum and she believes with the anger of the protesters that "they are not being listened to And that the government especially President Macron "did not understand them" Some speaking on chains of TV loops in France speak to spend the Christmas holidays in blocks and say they are very "determined" in front of " the blindness of the government ". Meanwhile many traders complain of a fall in their miserly number of over 70% in 3 weeks, and some even of partial unemployment, as blockages prevented, and made for customers. The petition published on change.org calls for "lower prices" for fuel, which has reached more than 1,061,000 signatures today.----------------------------------------------------- Last week, the Yellow Vests had set up more than 1000 points of blocking at roundabouts of large and smaller cities, in addition to the big demonstration of the Champs Elysees, which ended with a rampage of the shops, and d; attacks on the police, (tear gas, water cannon, molotov cocktail, throwing objects, and paves ..) by anarchists who have invited themselves to the cortege of G8lets Jaunes. 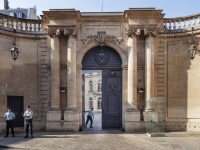 The movement, which has been going on for 13 days, continues and seems to be gaining momentum, as this recent and unprecedented movement did not succeed in establishing a dialogue, or even presenting clear and definite demands on elected representatives, and at the most the French state, Some MPs were intimidated and threatened at home, like MP LREM, Mireille Robert, by Yellow Vests, who have entered his home. The eight spokesmen, Vests, Yellow refused to go to Matignon to dialogue with Prime Minister Edouard Philippe.